In Brazil, they're tallying the death toll by the millions. In England and Scandinavia, they've turned to glow-in-the-dark paint. And in the United States? Well, we'll get there. An estimated 1.3 million animals die every day after being struck by cars and trucks in Brazil, according to a recent study by Centro Brasileiro de Estudos em Ecologia de Estradas. That's 475 million animals every year in one country alone: about 15 animals every second. Over the duration of the study, the team documented the deaths of 165 different species: 10 amphibian, 21 reptile, 63 avian and 71 mammal. Desperate times call for desperate, albeit inventive, measures. - Phương Mai Joy (@Phuong_Mai) March 12, 2014Despite the challenges of painting an animal with ever-growing hair - think of sheep - the rangers at DNP hope that the technique will cut back on deaths caused by traffic at the park.Yet however noble this conservation effort may be, it is sadly a Band-Aid on a massive wound which still largely affects small animals who are not big enough to be seen even with glow-in-the-dark paint.Where are the U.S. numbers?ShutterstockWhile Brazil has a mere 80 million and counting vehicles on the road, the U.S. is home to three times that number. Yet just how many animals are killed by the traffic from 253 million cars remains largely unknown.A statistic from the Humane Society of the United States (HSUS) makes the claim that "millions of wild animals are struck down by vehicles each week in the U.S." Although this number is widely sourced by numerous news outlets, it doesn't accurately reflect the real number of deaths. "It's really a best guess," John Griffin, director of humane wildlife services at HSUS, told The Dodo. 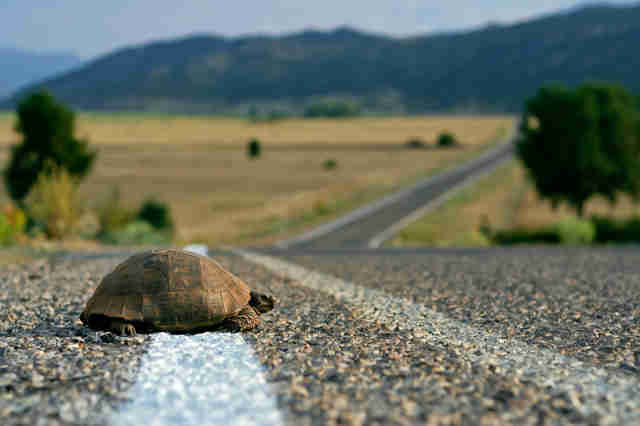 "It may underestimate the take and impact on wildlife, given that there are over 4 million miles of roads in the U.S. (unpaved and paved) and thousands more miles are added each year, along with thousands more road miles driven each year. ""As one of the largest, if not the largest anthropogenic cause of death for wildlife," Griffin continued, "this subject needs to be better studied and more needs to be done on understanding how to better incorporate wildlife crossings into our road systems. "ShutterstockUnfortunately, the numbers are difficult to measure, and the statistics that are available aren't representative of all the losses. 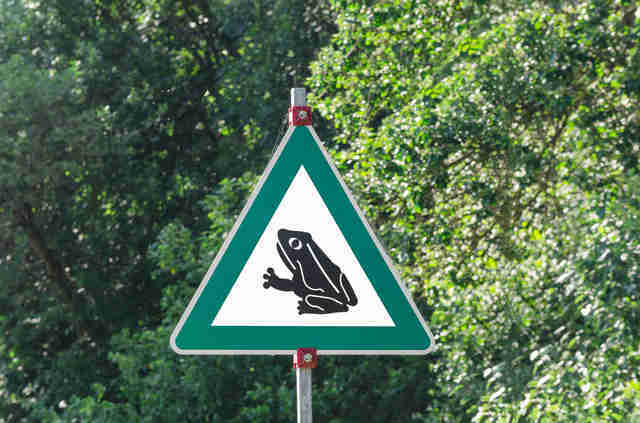 "Our current understanding of the population-level effect of road mortality on many small mammal species is limited," write Fernando Ascensao, Scott LaPoint and Rodney van der Ree, the latter of whom edited the "Handbook of Road Ecology." They write:[This is] partly because roadkill rates are usually underestimated due to their low detectability, rapid removal by scavengers or deterioration by passing vehicles. Thus the actual impact of road mortality on population persistence for most species is unknown.By not counting these small animals, many estimations have left out a massive portion of the total deaths.In Brazil, for example, 9 out of 10 of the animals were small - like birds, frogs or snakes.There are studies done every year, but many are performed by insurance companies and government agencies who, more often than not, are mainly concerned with the larger animals.Shutterstock"We keep statistics about deer, that's really what we're focusing on, because that's the animal that could cause damage [to a car]," New York Department of Transportation spokesperson Carol Breen told The Dodo. 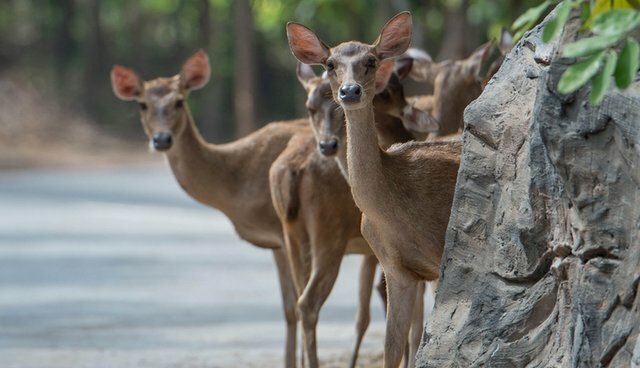 She noted that, on average, 65,000 deer are struck by vehicles in New York state alone each year.As for the smaller animals, who represent the greater number of deaths, there aren't as many statistics to be found. "The smaller animals we don't record," Breen continued. "We remove them from roads, but we don't record how many. "How to helpEfforts are being made not just in England and Scandinavia. Washington state is building a bridge to be used exclusively by wildlife. California's thinking about it too. However, like the reflective paint from Scandinavia, these efforts don't nearly come close to countering the massive effects of vehicle traffic on the animal community.If you want to do your part personally, drive more slowly at night. In particular, exercise caution at dawn and dusk.In addition to sharing this land with each other, we also have a responsibility to share this land with the millions of animals who also happen to live here.They are in great danger, and our animal neighbors need all the help they can get.Think we can do more to help animals overcome the strains of modern society? So do these three activists, whom the federal government laughs at in a clip from "The West Wing." Over the next few months, more animals at Dartmoor National Park (DNP) in southwest England will look like the striped pony below. Specially designed to help those animals who face a higher risk of injury at night, the body paint reflects headlight glare and provides drivers with a few additional seconds to slow down. The idea comes from Finland, where conservation groups spray-painted similarly reflective material on deer's antlers in early 2014 in order to decrease the country's 4,000 road-related reindeer deaths each year. Despite the challenges of painting an animal with ever-growing hair - think of sheep - the rangers at DNP hope that the technique will cut back on deaths caused by traffic at the park. Yet however noble this conservation effort may be, it is sadly a Band-Aid on a massive wound which still largely affects small animals who are not big enough to be seen even with glow-in-the-dark paint. Where are the U.S. numbers? While Brazil has a mere 80 million and counting vehicles on the road, the U.S. is home to three times that number. Yet just how many animals are killed by the traffic from 253 million cars remains largely unknown. 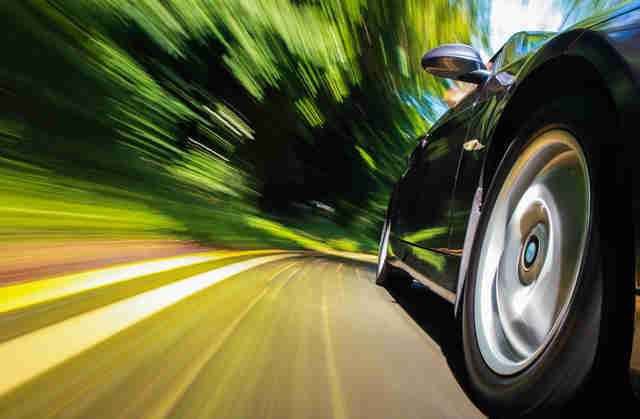 A statistic from the Humane Society of the United States (HSUS) makes the claim that "millions of wild animals are struck down by vehicles each week in the U.S." Although this number is widely sourced by numerous news outlets, it doesn't accurately reflect the real number of deaths. "It's really a best guess," John Griffin, director of humane wildlife services at HSUS, told The Dodo. "It may underestimate the take and impact on wildlife, given that there are over 4 million miles of roads in the U.S. (unpaved and paved) and thousands more miles are added each year, along with thousands more road miles driven each year." "As one of the largest, if not the largest anthropogenic cause of death for wildlife," Griffin continued, "this subject needs to be better studied and more needs to be done on understanding how to better incorporate wildlife crossings into our road systems." Unfortunately, the numbers are difficult to measure, and the statistics that are available aren't representative of all the losses. [This is] partly because roadkill rates are usually underestimated due to their low detectability, rapid removal by scavengers or deterioration by passing vehicles. Thus the actual impact of road mortality on population persistence for most species is unknown. By not counting these small animals, many estimations have left out a massive portion of the total deaths. In Brazil, for example, 9 out of 10 of the animals were small - like birds, frogs or snakes. There are studies done every year, but many are performed by insurance companies and government agencies who, more often than not, are mainly concerned with the larger animals. 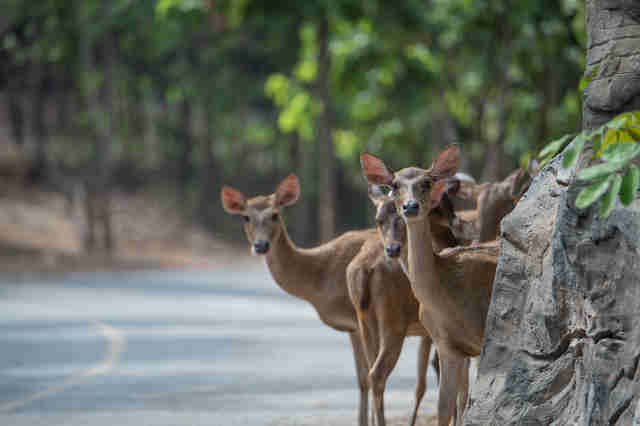 "We keep statistics about deer, that's really what we're focusing on, because that's the animal that could cause damage [to a car]," New York Department of Transportation spokesperson Carol Breen told The Dodo. She noted that, on average, 65,000 deer are struck by vehicles in New York state alone each year. As for the smaller animals, who represent the greater number of deaths, there aren't as many statistics to be found. "The smaller animals we don't record," Breen continued. "We remove them from roads, but we don't record how many." Efforts are being made not just in England and Scandinavia. Washington state is building a bridge to be used exclusively by wildlife. California's thinking about it too. However, like the reflective paint from Scandinavia, these efforts don't nearly come close to countering the massive effects of vehicle traffic on the animal community. If you want to do your part personally, drive more slowly at night. In particular, exercise caution at dawn and dusk. In addition to sharing this land with each other, we also have a responsibility to share this land with the millions of animals who also happen to live here. They are in great danger, and our animal neighbors need all the help they can get. Think we can do more to help animals overcome the strains of modern society? So do these three activists, whom the federal government laughs at in a clip from "The West Wing."